Karl du Fresne has been a staunch supporter of free speech: opposing the phenomenon of “no platforming” on university campuses, expressing dismay at Facebook users threatening violence and bullying people into silence, and confronting the idea of New Zealand Police enforcing “hate speech” laws. For these stands against intolerance, he should be applauded. However, his latest opinion published online in Stuff and in the Nelson Mail is a marked and surprising departure from his defence of free expression and the contestability of ideas. Mr du Fresne writes that he is sympathetic to the idea of the far-right nationalist Polish government introducing a law that would see imprisonment for anyone who, even unintentionally, claims that Poland was “responsible or co-responsible for Nazi crimes…”. Being sympathetic to the concerns of the Polish government is one thing; supporting legislation that criminalises those who voice a controversial narrative is another. The first case citing the yet-to-be-inked law is already being brought against an Argentinian newspaper for accompanying discussion about the massacre of Jews in the Polish village of Jedwabne in 1941 with a picture of anti-communist Polish partisans. Journalists like du Fresne, especially those who claim to support free expression, should be more concerned and outraged than sympathetic. Why is free speech not so important for du Fresne when a government wants to “protect their national reputation”? Would he be as sympathetic if President Trump proposed introducing a law that imposed constraints – with criminal sanctions – on the ability of a New Zealand newspaper to discuss the history of slavery in the United States? Given that du Fresne writes “There were documented cases of Poles, police included, playing an active role [in the Holocaust]”, he might be falling foul of the stifling law he seems to endorse, despite being quite correct. Historians agree that more than a few Poles collaborated with Nazis to “realise their own dream of a Jew-free Poland”. And a newly released 1946 US State department report equated Polish and Nazi treatment of Jews, meaning there was more than a “degree of anti-Semitism” at the time. Thus, the selected quote of Alex Ryvchin, “Poles were often only too happy to see the demise of their Jewish neighbours”, is not “scurrilous” at all. However, there are valid concerns underpinning the proposed law: the Polish government is correct, as du Fresne points out, that the extermination camps were built and administered by Nazi Germany and, thus, using the term “Polish camps” is misleading. Yad Vashem – the Holocaust museum in Jerusalem – also agrees with this point. As does Alex Ryvchin, the Israeli government, and the Holocaust Centre of New Zealand. Every rational person also agrees that thousands of Poles risked their lives to save Jews in the Holocaust. This is evidenced by the fact that more Poles are recognized as Righteous Among the Nations than citizens of any other country in Europe (there are 6,706 Polish names recorded, compared with 601 Germans). So, too, reasonable people agree that the recent claim of the Polish Prime Minister that there were “Jewish perpetrators” of the Holocaust is objectionable, yet would also agree that that making such claims should not be outlawed. All these points lead to the conclusion that this is not a black and white matter. Poles, like every other nationality, were and are a heterogenous people. Some lost their lives saving Jews; others locked Jews in a barn and set them alight. It is that very complexity, the inability to divide a people neatly into a category of evil or saintly, that necessitates research and debate, and that renders the proposed law such a bad idea. The objections to the law are not based on “the tendency of some Jewish activists to stridently allege anti-Semitism and Holocaust denial everywhere they look”, as du Fresne opines. Nor are they based in the “[Jewish] perception that only Jews are allowed to be seen as victims of Nazism”. 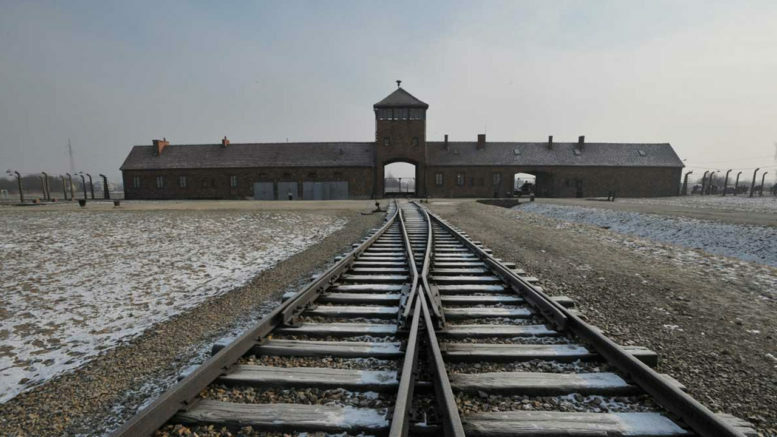 The Jewish response to the draconian law has largely been measured – leaders even condemned a Jewish group’s provocative and ill-measured video – and Yad Vashem acknowledges all victims of the Holocaust. There have also been non-Jewish voices raised in concern, including top Holocaust scholars. While Holocaust expert, Deborah Lipstadt, has labelled the law a form of Holocaust denial, the core reason for condemnation is that it legislates against making a claim that is objectionable to a certain government, regardless of historical accuracy. It is disappointing that Karl du Fresne cannot be consistent, on this occasion, in defending free speech. It is easy to stand up against those who wish to silence those you agree with but, in order to truly protect the most fundamental right of free expression, we must not turn a blind eye to (or encourage) the silencing of those for whom we disapprove. This article was originally published in the Nelson Mail and online. Dr David Cumin is an Auckland-based academic and member of the New Zealand Jewish Community.